JASC has manufactured and shipped over 12,000 Purge Air Check Valves for use on heavy-duty gas turbine engines used in power generation. The JASC Purge Air Check Valve is designed for continuous through-air operation with air temperature in excess of 400° F and operating pressure up to 1200 PSIG. JASC’s Purge Air Check Valve is designed to operate on water, Stoddard solvent, naphtha, jet fuel, diesel fuel, synthetic oil and hydraulic oil. The JASC Purge Air Check Valve is contamination tolerant, chatter resistant and provides an ANSI Class 6 zero-leak seal in the check direction. JASC’s Purge Air Check Valve provides toggle action when opening and closing to prevent the check valve from experiencing high frequency oscillation and premature wear of the valve internals. To ensure the JASC’s Purge Air Check Valves meet the customer’s unique performance specifications, JASC rigorously tests each valve. JASC’s Purge Air Check Valves can be refurbished indefinitely, returning the valve to its original operating condition. This lowers total cost of ownership significantly over purge air check valves that can’t be refurbished. 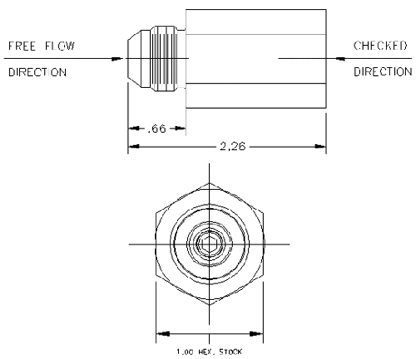 If you’d like to view JASC’s Purge Air Check Valve technical drawings, you can request them here.